a summer music & creative arts Overnight camp for girls. Amplify Sleep Away Camp is an overnight summer camp for girls ages 10 - 16, located in Ojai, California, less than 2 hours northeast of Los Angeles in the gorgeous Topatopa Mountains. Amplify Sleep Away Camp is listed as one of 10 Most Amazing Sleep Away Camps for Girls in the U.S. Amplify Sleep Away Camp offers six different creative art tracks each week. These tracks will be your campers concentration for the week. We highly encourage our campers to stay over multiple weeks. They can choose to stick with their concentration all weeks enrolled or choose new tracks each week. The majority of our kids stay with us for at least 2 weeks. Each day the campers also have 2 elective blocks where they choose from fun activities such as: swimming, film making, hiking, arts and crafts, and more. Camp runs Sunday - Saturday. Transportation to and from LAX Airport provided for campers coming from around the globe. In one week, campers form bands, write original songs, and perform in front of a sold out crowd. Morning sessions consist of small group instrument instruction and a workshop. 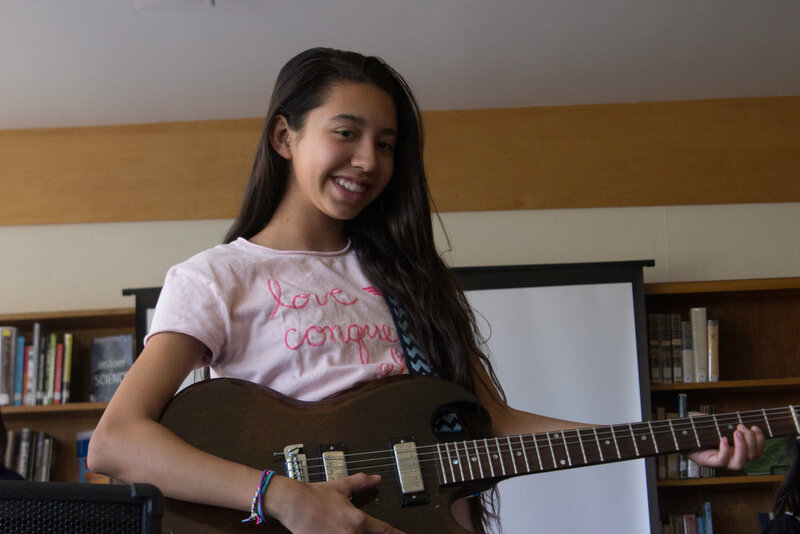 Workshops at camp may include music history, songwriting, zine- and comic-making, screen printing, beat boxing, DIY recording, rapping for empowerment, alternative instruments, and more. Learn the ins and outs of journalism. Girls learn basic web reporting, interviewing, editing and news writing techniques. Students spend part of the day in a classroom environment designed to mirror a professional newsroom, where they brainstorm story ideas, research current affairs and learn how to write news stories, the other half of the day is spent interviewing in the field. 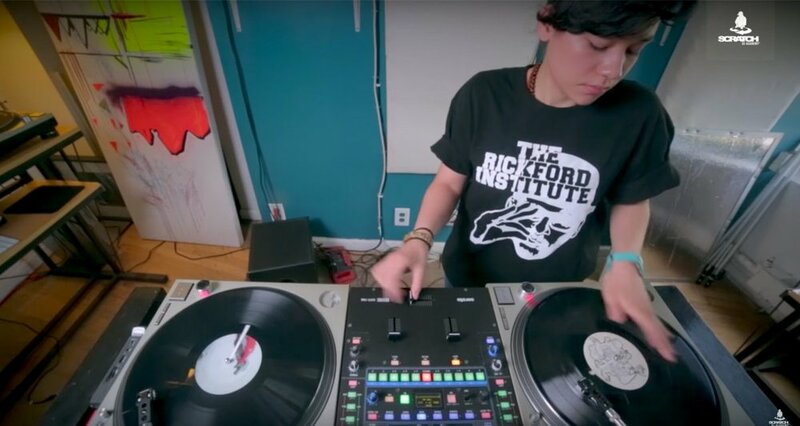 By the end of the program, students will have produced multiple stories on a chosen topic of interest..
On the final day of camp (Saturday), the campers will show off their newfound skills in a DJ exposition for their parents and family. Our campers follow their dreams, try incredible new things and gain lifelong friends in a safe and supportive environment. Our very low staff ratios of 3-1 to 6-1 insure a level of instruction, engagement and mentoring sure to make the experience unforgettable. All campers staying over for multiple sessions go on our weekend trips on Saturday between each session.